An important feature of employment law is the applicable jurisdiction with regards to the remedies available. It is important to draw a procedural distinction between seeking a remedy through an administrative tribunal, that is to say before the Commission des normes, de l’équité, de la santé et de la sécurité (hereinafter the ” CNESST “), and an appeal to a court of common law, including the Court of Québec or before the superior Court depending on the amount in dispute. There will thus be various legal procedures which will apply depending on the type of proceedings. Note that the time within which an action must be brought differ across different type of tribunals. What is interesting in this regard is that the same conflict can be brought before the CNESST AND before a court of law simultaneously, subject to res judicata. 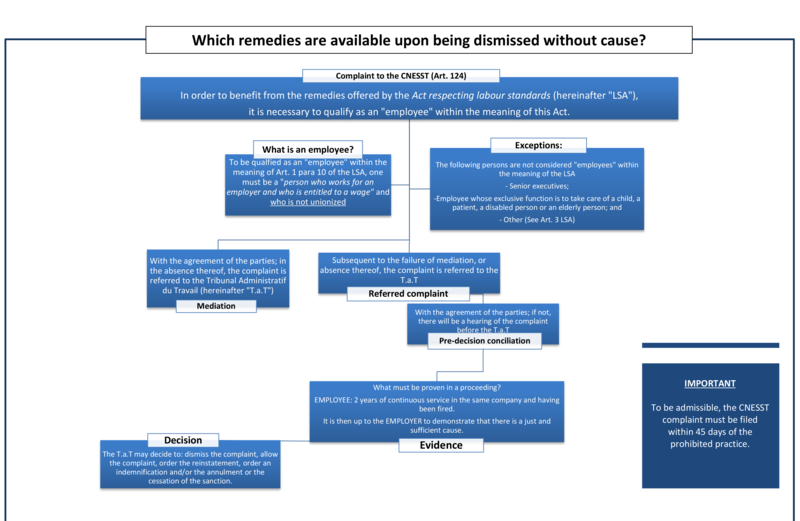 Therefore, a civil remedy cannot question the findings of a CNESST decision, but could be valid if for example, a just cause is established which gives way to a dispute before a court of law for damages. 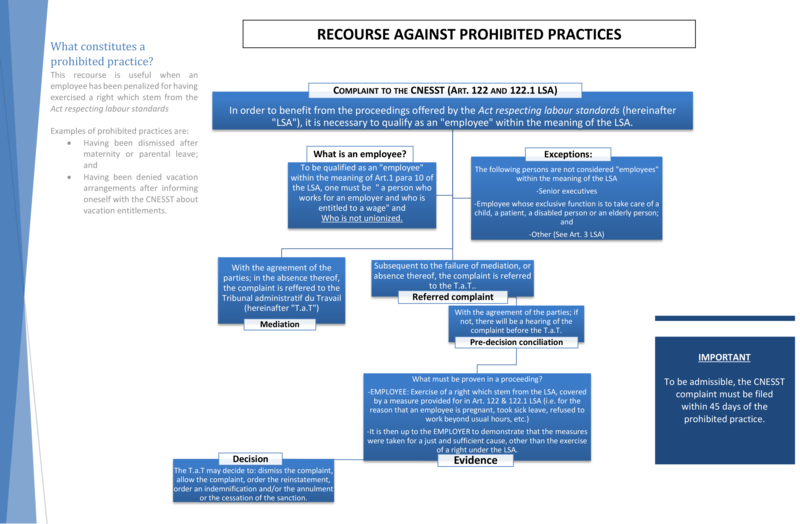 In practice, in most cases, interested parties will address a court of law in the event that one party involved in the dispute is excluded from the Act Regulating Labour Standards. The Act Regulating Labour Standardsprovides a remedy for an employee if an employer fails to pay an employee wages owed to him. Indeed, CNESST may, on behalf of an employee, claim from the employer unpaid wages or other monetary benefits offered under the Act Regulating Labour Standards. Consult one of our attorneys to discuss your particular situation if you believe that your employer has not paid all monies owed to you. All employees are entitled to a workplace free from psychological harassment. It is up to the employer to take reasonable action to prevent psychological harassment and, when the phenomenon is brought to its attention, to make it stop. It should be noted that harassment violates the dignity of the employee. Harassment is generally perceived as either an aggregate of gestures or a serious single gesture. It should be noted that sexual harassment is included in the concept of psychological harassment. Psychological harassment could come from the employer, colleagues or even a customer. With that said, the employer could be held liable regardless of the source of harassment. This is a heavy responsibility. An employee who believes he/she has been subjected to psychological harassment must submit his/her complaint in writing to the CNESST within 90 days of the last incidence of the behavior. If you believe you have been the victim of conduct that could be considered harassment, do not wait to contact our office to consult one of our lawyers!